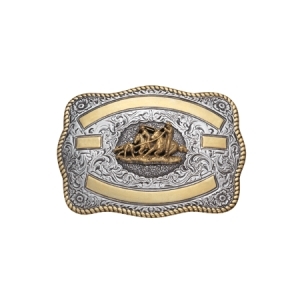 Embossed Rectangular Trophy Buckle - 4 Engravable Ribbons - Antique Silver and Antique Gold - 3-1/4" x 4-1/4"
Choose Custom Engraving Available or choose "No Engraving Required" and have an experienced local engraver, engrave it for you. 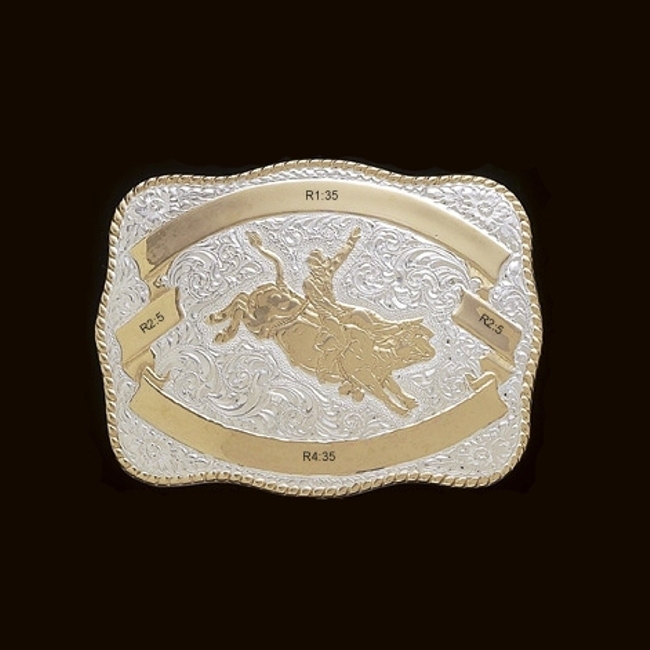 The buckle ribbons are desinated on the image a R1, R2, R3, etc. The number after the ribbon designation is the maximum number of characters permitted in that ribbon. R1:22 designates that ribbon R1 can have a maximum of 22 characters. R2:4 designates that ribbon R2 can have a maximum of 4 characters. 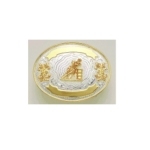 Add the information below that you would like custom engraved into the "Ribbon R1" Text Box, 22 maximum. This is the Top Ribbon. Add the information below that you would like custom engraved into the "Ribbon R2" Text Box, 4 maximum. This is the Left Center Ribbon. Add the information below that you would like custom engraved into the "Ribbon R3" Text Box, 4 maximum. This is the Right Center Ribbon. Add the information below that you would like custom engraved into the "Ribbon R4" Text Box, 22 maximum. 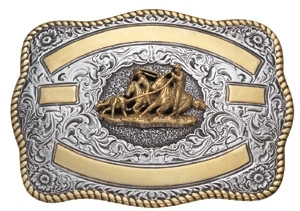 This is the bottom Ribbon. Count the number characters and place the number into the "Number of Characters" Text Box. Choose the correct number of characters in the "Custom Engraving" drop down. 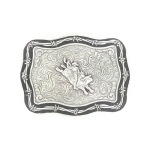 Please allow 8 - 10 weeks for delivery of custom engraved buckles.